Usually when a headline starts with the word “Google,” the first thought was – they must be stopped! But not this time. Recently, Google Earth announced it was great for not only mapping the earth, but the heavens as well. Google Sky is an add-on for their very popular Google Earth software containing over 100 million stars and twice as many galaxies. Google Sky also features layers of constellations, the moon, the planets, a “Life of a Star” tour, and a comprehensive listing of backyard astronomy objects within easy optical reach. It even includes some stunning images taken from the ultimate telescope – the Hubble. Not all keyboards are built the same – just ask any secretary who spends the better part of the day in front of the computer and a keyboard to find out. Most of them will definitely appreciate an offering that actually comes with some form of ergonomic design so that they won’t take the express train to RSI City too soon. 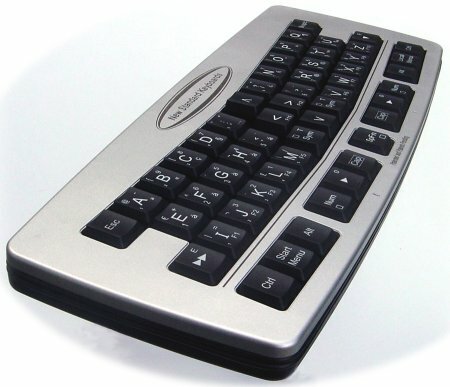 New Standard Keyboards has just announced its NSK535 series of alphanumeric, USB-interface keyboards which have already been tested and are fully compatible with the (not so) new Microsoft Vista. TomTom has taken advantage of IFA 2007 in Berlin by releasing its new flagship model known as the TomTom GO 920 T that boasts a whopping 4GB of internal memory with complete maps of 41 European countries in addition to USA and Canada pre-installed. Not only that, you also get the brand new Enhanced Positioning Technology that brings a more continuous navigation experience as well as the RDS-TMC Traffic Receiver in order to benefit from up-to-date traffic information. Without further ado, let’s have a deeper look at the maps included in the TomTom GO 920 T after the jump. 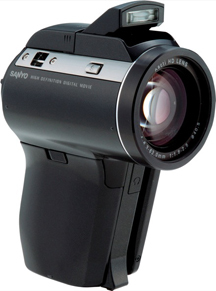 Looking more like a ray gun than a digital camcorder, the Sanyo Xacti DMX-HD1000 can claim the mantel of the world’s smallest 1080p HiDef camcorder. With its pistol grip and large 10x lens (which translates to focal length of 38 – 380mm), the HD1000 can shoot up to nearly an hour and a half on an 8GB high capacity SD card in full 1080p. This is thanks to the MPEG-4 AVC codec and it’s 1/2.5-inch CMOS sensor which translates to a total resolution of 1,920 x 1,080 dpi at 60 fps. Other modes include “HD-HR” 1,280×720 at 60fps, “HD-SHQ” 1,280×720 at 30fps, “TV-HR” 640×480 at 60fps, “TV-SHQ” 640×480 at 30fps and “Web-SHQ” 320×240 at 30fps. Is a cycling computer just that – a plain, old, cycling computer? I guess not at the rate technology moves. 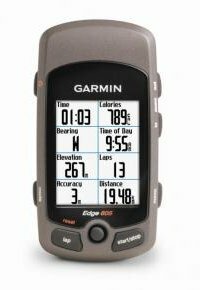 Garmin has just announced a couple of new devices in the form of the Edge 705 and Edge 605 which comes with virtually everything except the kitchen sink. The top of the line Edge 705 is an integrated personal training system, complete with a 2.2″ color display, mapping capabilities, street navigation, and the ability to track vertical profiles, climb and descent, altitude, speed, distance, time, cadence, and heart rate. Sounds like a whole bunch, and the next thing you know they’ll probably throw in a blood pressure monitor or some sort of ability to clean your house by outperforming the iRoomba. But I digress – the 705 also sports the ability to monitor power output on the same display and share information such as courses, waypoints, and workouts with other Edge 705 users via ANT+Sport wireless technology.